From class to home and back again! The value and impact of a music class increases exponentially when the music, concepts, and activities enjoyed in class are also incorporated into everyday family life. It’s easier than you might think to make the connection between class and home even stronger. #1 – Sing Hello and Goodbye (Good Night). Sing the Hello song each morning when your child wakes up. Change the word “goodbye” to “good night” and the goodbye song becomes part of a sweet, soothing bedtime ritual. After a diaper change, on a rainy day when you’re stuck inside, or while you’re waiting on supper to cook, turn on your Kindermusik songs and dance together. You can also do a slow, cuddly waltz together just before nap time or bedtime as a way to connect and relax before putting your child to sleep. #3 – Try an indoor hammock. Save out one big towel from the clean laundry you’re folding and before putting it away, rock your child in a towel hammock (two adults required) as you play some gentle music or sing a loving lullaby. For more about hammocking, click here. #4 – Take your child on a hayride. That same towel you hammocked with easily transforms into a swervy-curvy, silly-willy kind of indoor hayride. Simply have your child sit or lay on the towel, then pick up the end closest to his/her head. Then pull them down the hall and around the room. Add some music for a little extra fun and movement inspiration. #5 – Sing in the car together. 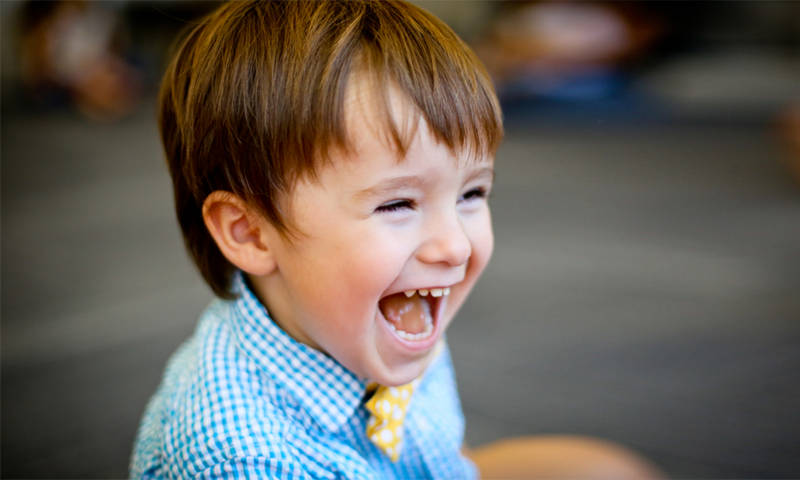 If you want your child to love being in the car or running errands, turn car time into singing time. Your child can teach you songs he/she learned in music class, or you can both enjoy a sing-a-long with your music download or CD from class. #6 – Do the “Johnny & Katie” fingerplay. This one is fun! Starting with the pinky, say “Johnny, Johnny…” while tapping each finger. Say whoops as you slide down from the pointer to the thumb, tap the thumb (saying “Johnny”), then head back to the pinky saying “Johnny” every time you tap a finger. Next say “Katie” on each finger. The fingerplay can go on from there with Daddy, sister, brother, Grandma, Grandpa, aunt, cousin, and more! #7 – Start a family band. Pots, pans, bowls, wooden utensils, cups, and spoons can all be the instruments for an impromptu band. 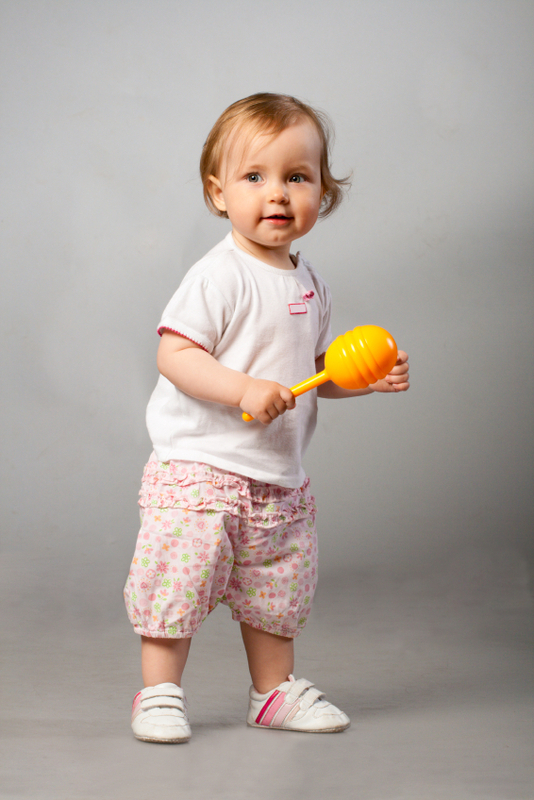 Accompany yourselves as you sing, or do a play-along with the recordings your favorite Kindermusik songs from class. These are 8 simple ideas with big emotional impact – ideas that also connect class to home and make the learning that much more powerful too. 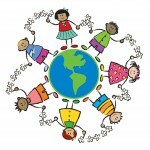 Kindermusik teachers all around the world love helping families make the class-to-home connections every week. But did you know that Kindermusik also offers a curriculum for schools that intentionally includes parent materials to easily connect the classroom to the living room? Find out more. – Shared by Theresa Case whose award-winning Kindermusik program is located at Piano Central Studios in Greenville, SC.